The Seattle Seahawks are just one game away from writing their names in the history books by landing successive Super Bowls. It last happened in 2004 and 2005 when their opponents in this year’s showpiece, the New England Patriots, completed the feat. These two storied franchises have met on 16 occasions and there is nothing to split them with eight wins apiece. Patriots coach Bill Belichick has won three Super Bowl titles and Seattle’s Pete Carroll is going for his second, 15 years after being sacked and replaced by the man currently in New England. In the most recent clash between the two teams it finished 24-23 as Seattle turned it on late. QB Tom Brady struggled that day, but will no doubt enter the hall-of-fame in Canton when he’s done. Brady has been involved in the most postseason games (28), has the most wins (20) and most touchdowns (49) in NFL history, but will face a serious test against this Seattle secondary. The Patriots will be looking for another big game from tight-end Rob Gronkowski, who had 82 catches and 12 TDs before the post-season. Seattle’s defense will do their best to limit the Gronk’s touches and have been back to their scintillating best with linebacker Bobby Wagner returning to the side. The defense is ranked first in points per game (15.9), first in yards per game (267.1), third in rushing yards per game (81.5) and first in passing yards per game (185.6). QB Russell Wilson overcame a terrible three quarters against the Green Bay Packers and will be keen to continue his incredible run against Super Bowl winning quarter-backs. Wilson has won all ten games against QBs that have lifted the Vince Lombardi Trophy. His ability to escape the pocket and throw on the run makes him a huge threat. When you have running-back Marshawn Lynch in support it makes for a terrific one-two punch. Lynch racked up over 1,000 yards and 10 TDs for the fourth consecutive season and was first in the league with 17 TDs. He comes into the game in fine running form after rushing for 157 yards and a TD in the NFC title game victory over the Packers. Seattle’s defense has the shutdown skill set to keep Brady in check, while QB Wilson and a dominant running game can do the rest. Make sure you check out the specials markets too, as there is everything from the time of the first completed pass to the time of first touchdown scored, to the first successful field goal and the time of the first sack – plus many more. Maximum excitement on America’s biggest sporting event guaranteed. Sporting Index is the world leader in sports spread betting, offering 100+ markets on the world’s most popular sports including American Football. 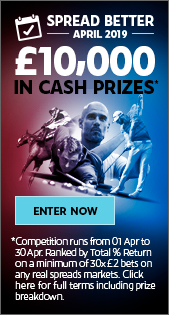 Many of these spread bet markets can be traded in-play and Sporting Index pioneered the Cash Out option, allowing bettors to secure a profit or restrict a loss during an event. 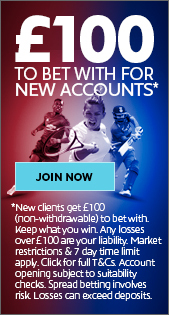 Sign up for a Sporting Index account now for the most exciting betting experience around.